Published May, 2018. You can get it here. 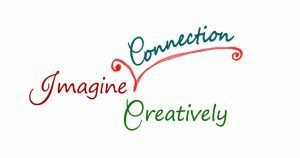 What is the cost of emotional disconnection from dear ones? Do you want to enhance sharing and dissolve tensions in your family before they widen? Learn one simple practice to take care of important relationships daily! 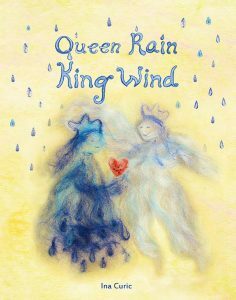 Two elves visit Queen Rain and King Wind. They convince them to disperse the clouds and dry the tears in their relationship that are falling continuously and endangering the life of bees on Earth. A story about watering the seeds of joy in any relationship through appreciation. 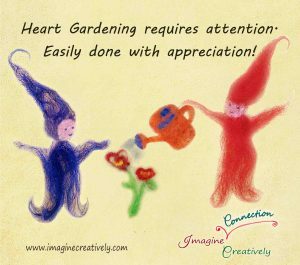 It is a source of inspiration to provide daily exercise for the role of “heart gardener.” Guidance and practical examples are included for family practice of appreciation rituals. Peacebuilding is taken to the family level where the emotional journey starts for everyone. 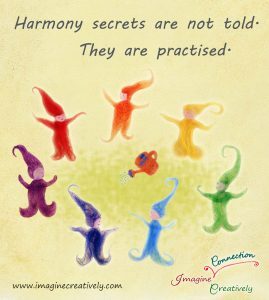 Add this to your bedtime ritual for increasing harmony and quality time together. Through the names of elves and the interactive pages, the story includes an introduction into the world of crystals and their benefits. The felt and wool illustrations invite families to play with natural materials.